International Day is right around the corner. Forms and information were sent home in last week’s Tuesday Folders. This is a wonderful event where Freedom Hill celebrates its diversity with a parade where children dress in the attire of their culture and students get to sample food from all over the world. Please consider donating a PEANUT-FREE dish that celebrates your culture. The committee also needs volunteers to help set up, clean up, and serve food. Sign up here. For more information, here is the flyer about the Luncheon. Here is the flyer about Food Guidelines. And here is the form you can use to label your contribution. Would your student like to represent his or her country in the parade? There is still time to sign up! Here is the flyer about the Parade. 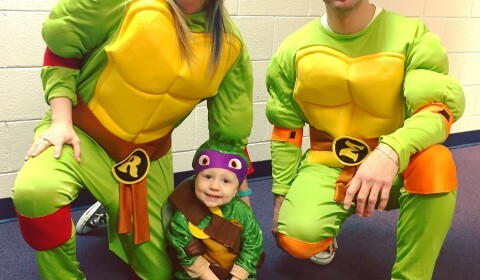 Teenage Mutant Ninja Turtles Spotted at Halloween Fun Night!